Gateway Foundation, Central West End, St. Louis, MO. 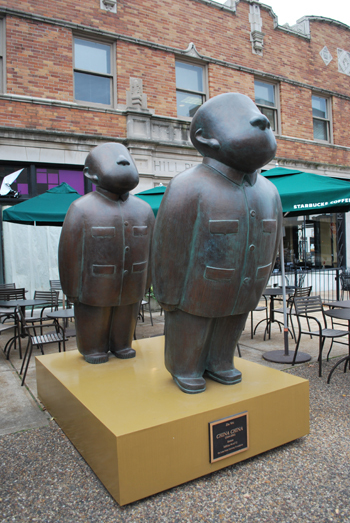 "China China" copper sculptures were created by a Chinese sculptor, Zhu Wei. Acquired by Gateway Foundation early in the decade and placed in Central West End the sculptures were damaged by vandals.